If you’ve been looking for a new car in the Bloomingdale or Glendale Heights area, Chevrolet has some quality options in its current lineup. 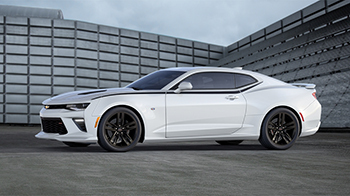 Among the most popular are the 2016 Chevrolet Camaro and the 2016 Chevrolet Impala. While the respective muscle car and large family sedan have some surprising similarities, they’re also marked by several differences. Check out how these models fare side-by side to see where they stand in terms of performance, design, and price. After that, check out both models for yourself at Sunrise Chevrolet. You’ll have three different powertrain options to choose from if you go with the fully redesigned 2016 Chevrolet Camaro. The new base engine is a turbocharged 2.0L inline-four that confidently puts out 275 hp and 295 lb-ft of torque. Upgrading to the 3.6L V6 engine boosts performance to 335 hp and 284 lb-ft of torque. SS models get outstanding power from a 6.2L V8 engine that delivers a robust 455 hp and 455 lb-ft of torque. Power is delivered to the rear wheels to help create a more balanced performance, and there are a wide range of performance-oriented amenities throughout the lineup, from performance brakes and calipers to a performance suspension and steering system. The base engine on the 2016 Chevrolet Impala is a 2.5L four-cylinder engine that makes a composed 196 hp and 186 lb-ft of torque. If you go with the 2LT or 2LTZ trims, you’ll get a 3.6L V6 engine good for 305 hp and 264 lb-ft of torque. Chevrolet also offers a duel-fuel V6 engine that can run on CNG natural gas or regular gasoline. Output with gasoline is measured at 260 hp and 247 lb-ft of torque, or 230 hp and 218 lb-ft of torque with CNG. 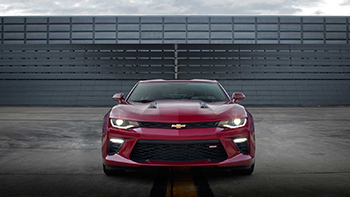 In the tradition of its muscle car heritage, the 2016 Chevrolet Camaro has been designed to reflect its power. That means angular, stout lines from front to back and a wide, imposing presence on the road. Inside the cabin, you’ll have seating for four passengers. On the other side of the aisle, the 2016 Chevrolet Impala reflects sophistication and smoothness on the exterior and practicality on the inside. This model provides plenty of room for five passengers to sit comfortably in a cabin that measures 123.8 cubic feet. The trunk is also quite roomy, measuring 18.8 cubic feet. The price range on these models is somewhat similar, but the 2016 Chevrolet Impala comes in with a higher base price and the 2016 Chevrolet Camaro has a higher price for a fully loaded model. 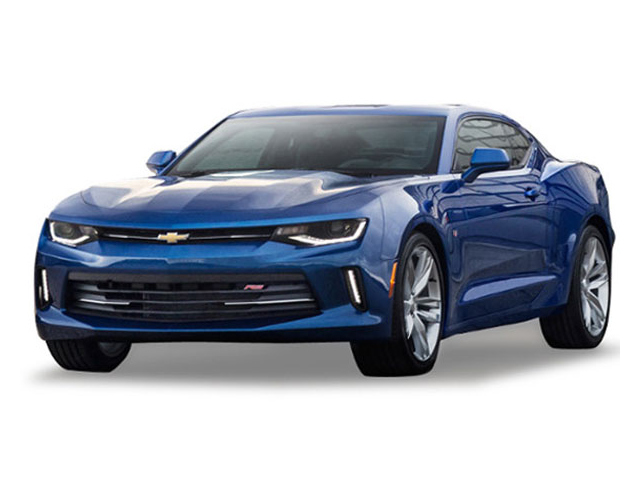 If you’re trying to decide between the 2016 Chevrolet Camaro and the 2016 Chevrolet Impala, there’s a good chance you’re trying to level with yourself between fun performance and practicality. 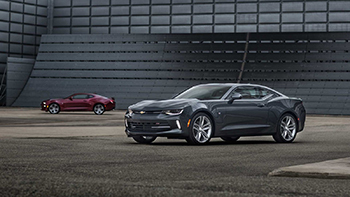 Luckily, both of these vehicles provide a bit of both—the Camaro offers comfortable four-passenger seating and an affordable starting price, and the Impala serves up commanding V6 power. If you’re leaning more toward more practicality, though, the Impala provides more features at a lower price and gets you more room in the trunk. 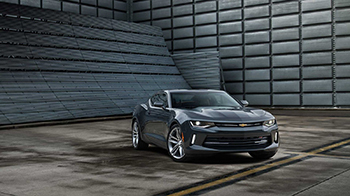 From a performance perspective, the Chevrolet Camaro offers robust V8 power that the Impala can’t match, all in an unmistakable and iconic muscle car design. Weighing both options comes down to your own lifestyle and budget, but it’s tough to go wrong with either one. Research is important when shopping for a new car, but nothing beats getting behind the wheel. Make your way from anywhere near Bloomingdale to Sunrise Chevrolet at 414 North Ave. in Glendale Heights, IL. Our sales team is here to help you out and take your calls Monday through Saturday.